Most of the magic behind how this works occurs in the DoRender() method above. 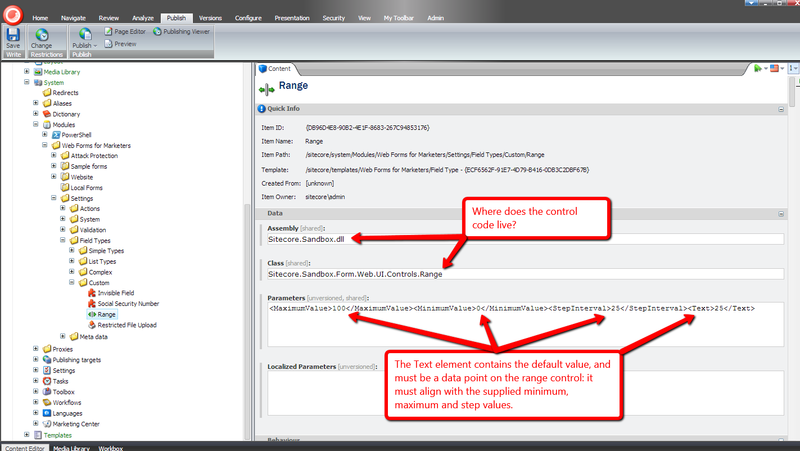 In that method we are changing the “type” attribute on the TextBox instance defined in the parent InputControl class to be “range” instead of “text”: this is how the browser will know that it is to render a range control instead of a textbox. I will admit that I had a lot of fun adding this range input control into Web Forms for Marketers but do question whether anyone would use this control. I found no way to add label markers for the different values on the control (if you are aware of a way to do this, please leave a comment). 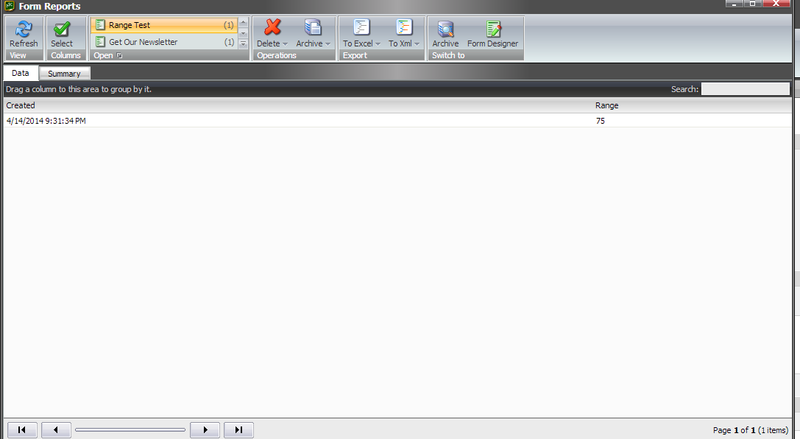 Also, it should be noted that this control will not work in Internet Explorer 9 or earlier versions. If you can think of ways around making this better, or have ideas for other HTML5 controls that could/should be added to Web Forms for Marketers, please share in a comment. 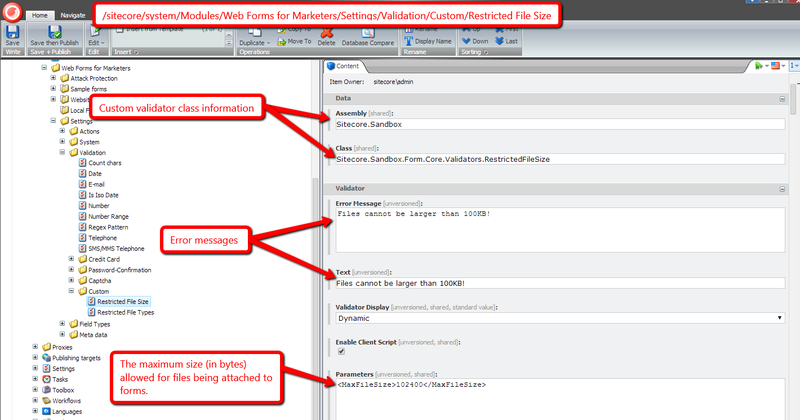 Last week I was given a task to research how to prevent certain files from being attached to Web Forms for Marketers (WFFM) forms: basically files that have certain extensions, or files that exceed a specified size. After a few unsuccessful searches on the internet — if you have some examples on how others have accomplished this in WFFM, please share in a comment — I decided to dig into the WFFM assemblies to see what would be needed to accomplish this, and felt using custom WFFM field validators would be the way to go. 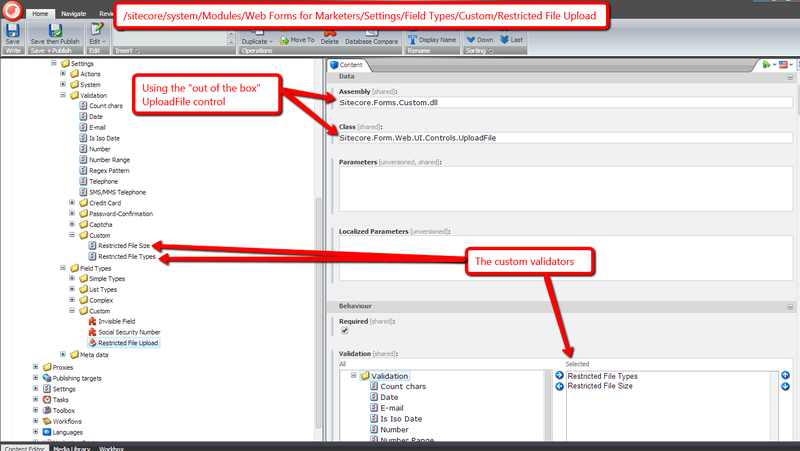 I thought having a custom validator to check the attached file’s MIME type would be a better solution over one that checks the file’s extension — thanks to Sitecore MVP Yogesh Patel for giving me the idea from his post on restricting certain files from being uploading into Sitecore by checking their MIME types — since a malefactor could attach a restricted file with a different extension to bypass the extension validation step. Restricted MIME types are passed to the custom validator through a parameter named MimeTypesNotAllowed, and these are injected into a property of the same name. The MIME types can be separated by commas or semicolons, and the code above splits the string along these delimiters into a collection, checks to see if the uploaded file — we get the uploaded file via the FileUpload control on the form for the field we are validating — has a restricted MIME type by iterating over the collection of restricted MIME types, and comparing each entry to its MIME type. If there is a match, we return “false”: basically the field is invalid. 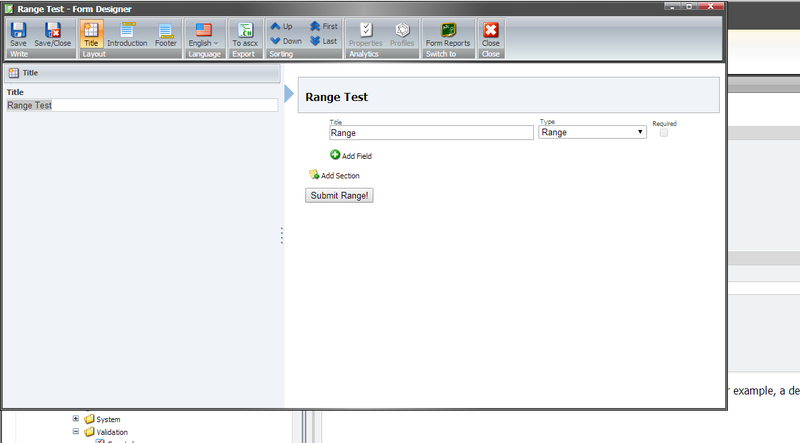 If no MIME types were set for the validator, or no file was uploaded, we return “true”: the field is valid. We do this for the case where the field is not required, or there is a required field validator set for it, and we don’t want to interfere with its validation check. 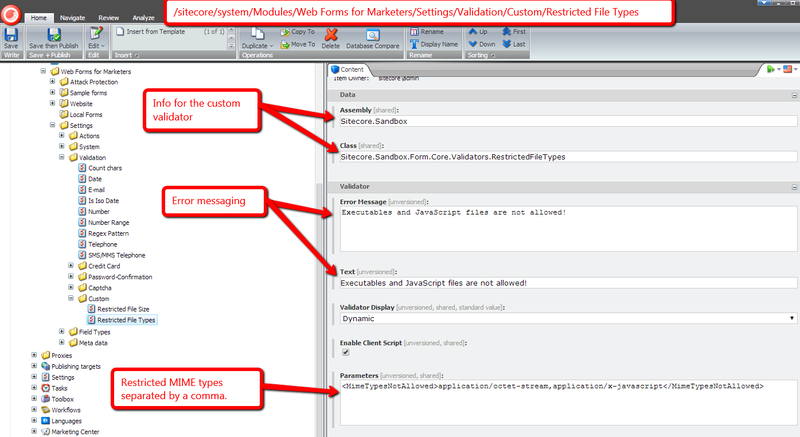 Just as we had done in the other validator, we grab the FileUpload from the form, and see if there is a file attached. If there is no file attached, we return “true”: we don’t want to say the field is invalid when the field is not required. We then return whether the uploaded file is less than or equal to the specified maximum size in bytes — this is set on a parameter named MaxFileSize which gets injected into the MaxFileSize property of the validator instance. If you have any thoughts on this, or other ideas around preventing certain files from being attached to WFFM form submissions, please share in a comment.